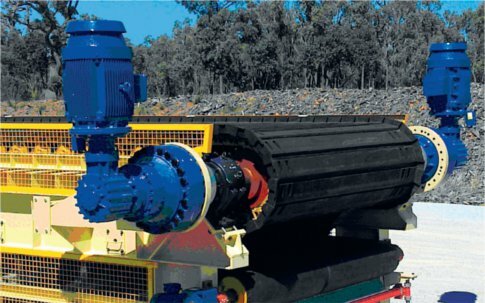 Rossi UK, a division of Habasit Rossi, will introduce its newest range of planetary gear reducers and geared motors at the upcoming Hillhead exhibition. The company is investing in tooling and stock which will enable the UK operation to assemble from modular components and significantly improve delivery for its growing customer base. In addition, the company will also exhibit a comprehensive product range, including its G05, A04 geared motors as well as servo precision geared motors. The main design criteria for the new planetary range is increased performance compared with the previous EP02 series of Rossi Planetary units, using where possible the same dimensions but enhancing the commercial advantages for the end user. This was made possible by the enhanced calculation of every mechanical component, specifying high quality materials and state of the art machining through every process. The design process took into account the latest available lubricants, which could reduce friction and extend service life of the gear reducer. The new planetary range was initially launched in 2010. The first phase included 9 sizes with a maximum torque capacity of 21,200Nm and now the range will be extended by a further 14 sizes with a torque capacity of 250,000Nm. The Italian parent, Rossi SPA, is currently designing the range to be extended even further.